In the summer of 2015, my husband and I packed the kids into the car and went on a road trip to Colorado for a family reunion of his side of the family. While there, I interviewed His grandparents, Don and Jo Ann, and edited their stories and pictures into a biography movie. Don and JoAnn Marts were born to blue collar farming families in Colorado. Don’s family moved around a few different cities during his childhood, while Jo Ann spent her childhood and early adult life in Webly, Co. which is a suburban area outside Denver. 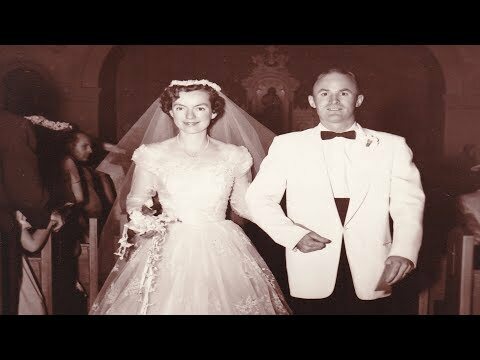 On July 30th, 1955, they were married at the Assumption Catholic Church in Webly in, the same church that JoAnn had taken her first communion, sacraments, and confirmation. Don worked as an engineer, and JoAnn worked as a secretary and a stenographer. She decided to stay at home when they started to grow their family because she was their mother, didn’t want anyone else to raise their children. Don says that seeing their children grow up was the most enjoyable part of life. They had five children, four boys and one girl. Unfortunately, one of their sons developed pneumonia at six months old and passed away. Thankfully, they had the support of their families to help with taking care of the other siblings during that time. Road trips to camping and hiking spots were how the family spent their summers. They loved taking them to the outdoors. Don eventually took a new position for work in New Mexico, and the family moved there. Jo Ann soon went back to work because their youngest son was a senior in high school. Don and JoAnn started taking their annual trips by themselves. They traveled to many fun spots around the United States, such as Carlsbad Caves, Bandelier National Park, and Disneyworld. They also visited Alaska, Panama Canal, New Zealand and Australia. Eventually they moved back to their home state and settled in Greely, Colorado. They enjoyed having their children and grandchildren visit them throughout the years. 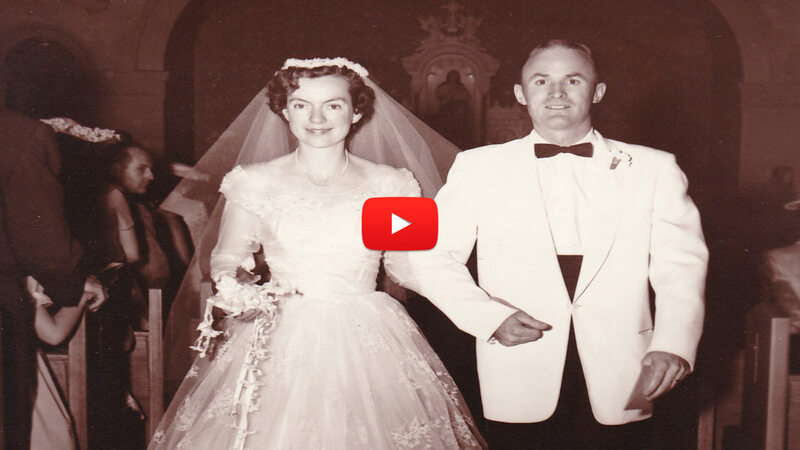 They were happy and blessed that all of them were married and had children of their own. JoAnn Marts passed away January 15th, 2017 in Arvada, Colorado at the age of 87. She was a beloved wife, mother, grandmother, and great grandmother. Stephen, myself, and our children were unable to attend her funeral service because Amber had just been born, and I was still in recovery. I am glad we were able to record these interview when we last visited, and it was played for all the family members at her memorial.